We are pleased to announce that we have joined the Government scheme promoting Gigabit-capable connectivity across the UK!! This scheme provides small businesses with up to £2,500 in gigabit vouchers as a part of a £67 million funding program. Gigabit vouchers can be used by small businesses to claim up to £2,500 against the cost of super-fast connection. Full fibre broadband connections are the fastest, most reliable speeds available, and the government is committed to a vision of a full fibre Britain. 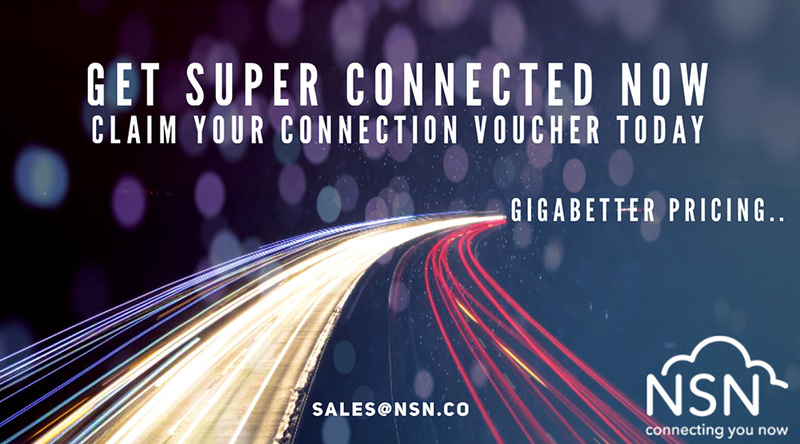 NSN’s ‘Giga-better connected’ offering begins with the voucher scheme as your highway to the Cloud and ends in an array of Cloud based solutions to help your business accelerate its growth! Increase productivity and efficiency with guaranteed broadband ensuring you always have a constant, reliable Internet connection. Take a leap and move over to a cost effective and failsafe hosted solution! Benefit from the flexibility to work from anywhere and have little to no maintenance costs. Reach for the Cloud and enjoy cloud-based communications solutions with unlimited ultra-fast access. Get ahead of the game with the end of ISDN30 in 2025.